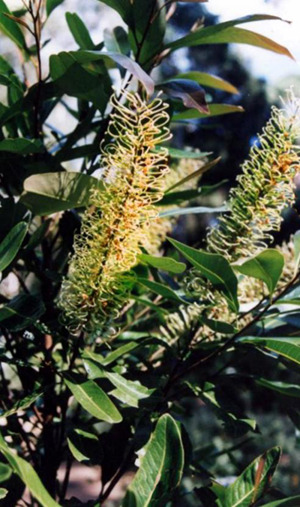 An ornamental shrub or medium sized tree from northern Queensland. Leaves are variable from entire to deeply lobed, light green and shiny. 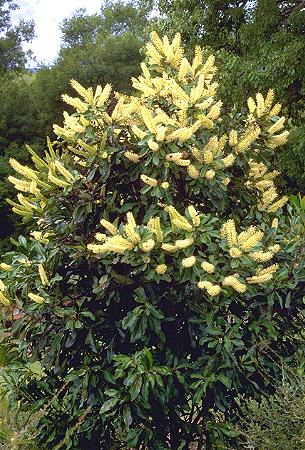 It has long racemes of showy white scented flowers (like Macadamia). Prefers partial shade and well-drained soils. Smaller in cultivation than in its habitat (15-30') and generally bushy. Excellent indoor or patio container plant. Propagation Information: Seed germinates easily if sown fresh. Seed loses viability over 3-5 years. Not often available as difficult to collect fresh seed.